I wish I knew this when I was much younger, I wouldn’t have wasted my time whining and complaining to anyone who would listen about all of my “supposed” troubles. After all, why be discouraged, it is negative thinking and does nothing to solve whatever hole you have been placed in. Beside, when you are seeking assistance, who wishes to help anyone who is pessimistic. We have enough dark clouds in our life without inviting other people’s bad feelings. But, to help a person who is happy, even just yourself, is another matter. We enjoy partaking in solving problems when we feel positive vibrations and expect victory at the end. Lacordaire is correct, to suffer well is a good habit to have, not only for us, but for everyone around us. According to Wikipedia, Lacordaire is Jean-Baptiste Henri-Dominique Lacordaire (12 May 1802 – 21 November 1861), often styled Henri-Dominique Lacordaire, he was a French ecclesiastic, preacher, journalist and political activist. 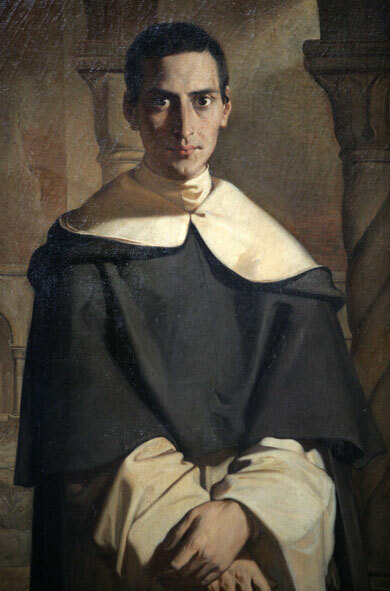 He re-established the Dominican Order in post-Revolutionary France. Link to Wikipedia on Lacordaire. If you would like to learn more about how we should survive and even thrive during our rough spots, read my book, The Problem is the Solution. You will find out that what we must live through is actually meant to improve us.